This week The Horror Guru reviews Takashi Miike's 100th film: BLADE OF THE IMMORTAL! CCPodcast (Reactive Consciousness) Episode 57 starring Lotus Prince and vysethebold! This episode we discuss: Vyse's new gaming setup and Square's insistence on mobile ports! 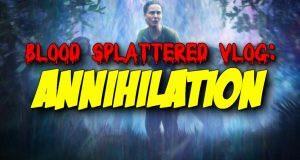 This week The Horror Guru reviews ANNIHILATION!